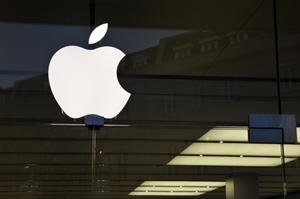 Last week, Apple announced its first quarter profit numbers during a financial call. While the overall numbers were down, there were several bright spots to take note of. During this year's first quarter, Apple reported to bringing in a profit of $9.5 billion, which was down from the $11.6 billion it reported in the same time last year. However, overall revenue increased by $4 billion, landing at $43.6 billion. On top of that, the company stated that it was able to sell 37.4 million iPhones and 19.5 million iPads in the first quarter. While these numbers were down from the fourth quarter numbers of 2012 – which is understandable considering that it contains the holiday shopping season – they are an improvement over the first quarter a year ago. There was also little movement in Mac sales. Last quarter, Apple sold 4 million Macs, which is the same as a year ago and is a small drop from the 4.1 million that was reported during the final quarter of 2012. "We are pleased to report record March quarter revenue thanks to continued strong performance of iPhone and iPad," Apple CEO Tim Cook said in a statement. "Our teams are hard at work on some amazing new hardware, software and services, and we are very excited about the products in our pipeline." It seems clear that when a reported $43.6 billion is considered a down quarter, things are going well. Apple is doing its best to reach out to a number of different avenues, with business customers being one of the biggest. Any company can take advantage of this by partnering with an IT consulting firm that understands the intricacies of Mac integration.